A gloriously sunny day, naff all wind, no lift but just a great day to get your bum off the ground – even if it is only a short flight. After the unusually low turnout for the previous Wednesday a good turnout with 19 members clocking up 32 launches on a short day (not long now before the days start to lengthen). Bob B and myself were kept busy in the back seat all day. Paul P disputed the time on the log for one of his flights as being 10 minutes (it was 8.5 according to his watch) as he did not want to appear on the blog as longest flight. In which case Alan B, Bill C and Colin B share the honour with 9 minutes (all in the K8 proving the benefit of the extra launch height available in the K8). As the day progressed the ground softened a little and became slippy (as Steve B demonstrated) but in the shadow of the ridge (long shadows at this time of year) the ground remained frosted. 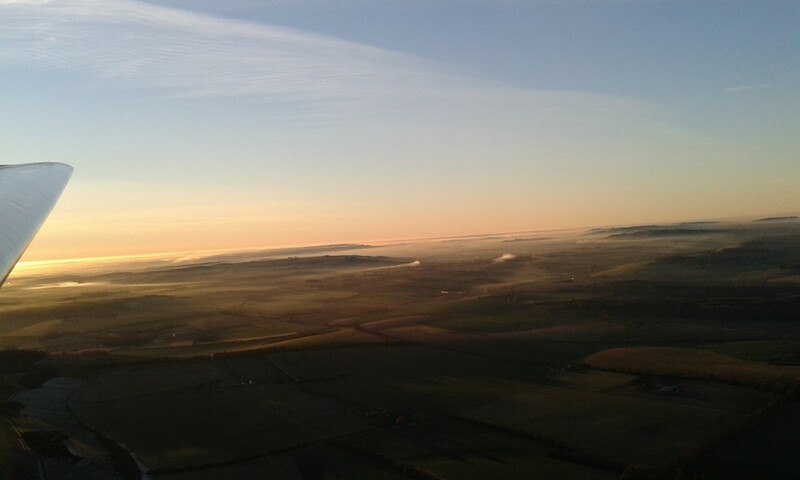 The mist in the Pewsey Vale can also be seen in the above photo but it looked more stunning on the last flight of the day when Jonty and I were treated to the view of the bright sinking sun. My photo doesn’t do it justice but here it is anyway. 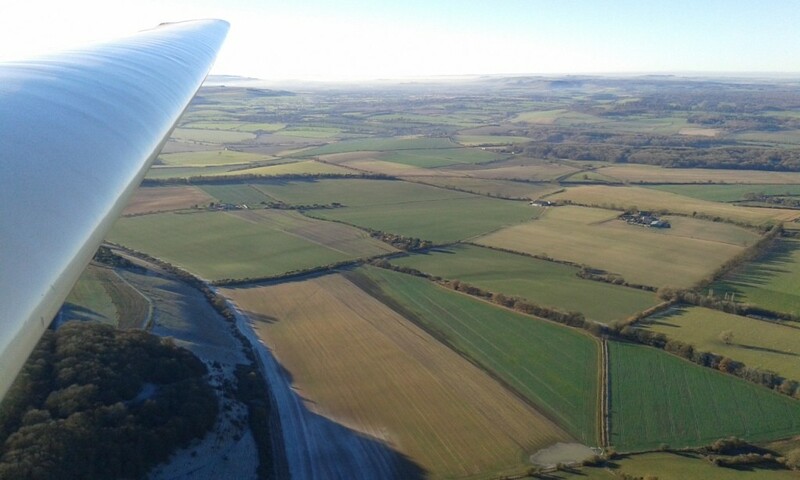 And just to show what we missed last Wednesday – Bob B’s photo of a wave bar over Vernham Dean (well, in that direction).